Hey folks, we’re getting near the finish line on our next title and wanted to finally share a few details about it, along with some of the thought process that lead to this project. So, here we go! 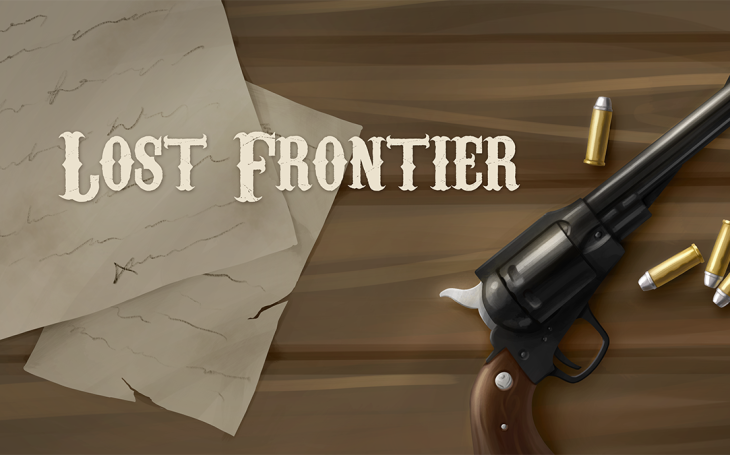 Lost Frontier is a turn-based strategy game that takes place in a fantasy-western setting, where the Old West and the Occult mingle with a dash of improbable technology. With this project we were excited to try something a little new for us. 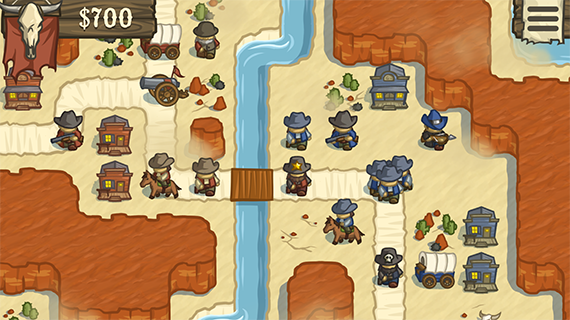 Turn-based games are something we’ve played a lot of over the years, but we hadn’t tried to make one yet, so it seemed like a natural choice of genre to tackle. That said, there’s a lot of variety within turn-based games, and we’ve enjoyed everything from Civilization to Final Fantasy Tactics to X-com. When thinking about our inspirations, we realized that these kinds of games tend to follow one of two very different design styles when it comes to your units, and how disposable they are. In “Type A” we’ll call it, your units are permanent heroes who level up and stay with you throughout the game, and often permanently die if you lose them in combat (FF tactics, Fire emblem, X-com). 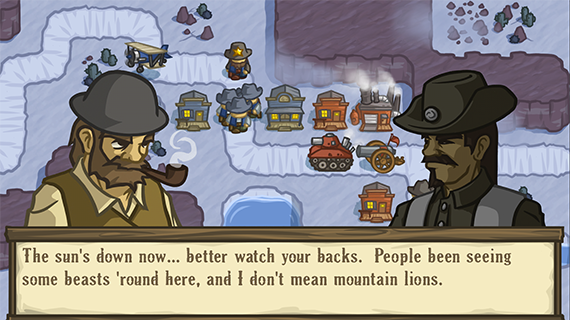 In a “Type B” game, your army is pretty disposable and you’re expected to take losses (and build replacements), and the game is more about controlling the map’s resources through tactical, chess-like trades (Civilization, Advance Wars). We felt like Type-B games are underrepresented these days, and I haven’t personally played a game in a long time that scratched that itch, so that’s more of the style we went for. That said, we love the RPG-like upgrading and progression you feel in a Type-A game, so we’ve incorporated that through “living legends”. Before you play you’ll choose your living legend, a special unit who takes the field and acts as your avatar. As you continue to use them they level up and gain persistent upgrades, and also bestow passive bonuses to the rest of your forces. Each legend will specialize in improving a certain playstyle or category of units, such as emphasizing long-range attacks, or having superb healing. Fully unlocking all of a legend’s perks will take some time, so we expect using and leveling up additional legends will provide some great replay value. So what kind of content will be in the game? We’re currently planning to launch with a sizeable single player campaign that will serve to introduce you to the setting and characters, the mechanics of the game, and our 20 unit types. Beyond the campaign, we plan to offer a challenge mode that assumes you know what you’re doing and provides a place to put your skills to the test. Additionally, expect maps to play custom games on, which will allow you to configure 2-4 players (any combination of humans and AI) for local, hot-seat multiplayer. Multiplayer over the internet may come at a later date depending on demand – it’s a challenging feature that we don’t want to delay the release for, and we figure that hot-seat multiplayer will satisfy most people’s desires for playing with/against a friend. We’re on track for a release this Spring, stay tuned.